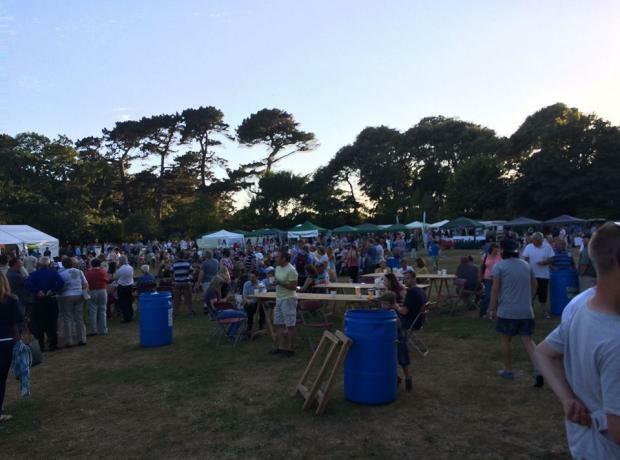 On Monday night the GSPCA once again joined Lé Viaër Marchi is one of Guernsey’s great annual get-togethers, celebrating the best of Island traditions which took place at Saumarez Park from 5pm until sunset. The GSPCA stall had a fantastic evening raising funds for the many animals in our care and talking to those interested in our work. The Lé Viaër Marchi is one of Guernsey’s great annual get-togethers, celebrating the best of Island traditions, on Monday 2nd July 2018, at Saumarez Park from 5pm until sunset. On Monday the 3rd July the GSPCA joined Guernsey National Trust for their fantastic annual event Le Viaër Marchi. Held on the first Monday of July (in any year), Le Viaër Marchi is a colourful and widely anticipated annual event in Guernsey’s calendar and continues to be the Guernsey National Trust’s greatest fundraiser and was certainly another a wonderful 2017. Is Monday the 3rd July in your diary? Once again the GSPCA are looking forward joining the National Trust at Le Viaër Marchi on Monday 3rd July. We will be setting up from 4pm for a 5pm start and if you can help volunteer please do get in touch. Held on the first Monday of July (in any year), Le Viaër Marchi is a colourful and widely anticipated annual event in Guernsey’s calendar and continues to be the Guernsey National Trust’s greatest fundraiser. On Monday the GSPCA joined the fun and festivities of Lé Viaër Marchi in Saumarez Park. Despite what had been a wet and grey day as the event drew closer the clouds thinned and rain stopped. The GSPCA for a second year in a row joined the fabulous event and once again had a wonderful time. GSPCA Manager Steve Byrne and volunteer Molly Phillips along with one of her friends ran what was once again a very popular stall raising funds for the many animals in our care at the GSPCA. Is Monday the 4th July in your diary? Once again the GSPCA are looking forward joining the National Trust at Le Viaër Marchi on Monday 4th July. The GSPCA would like to thank the Guernsey National Trust for allowing us to join them for their wonderful fundraiser held on the first Monday of July (held the same in any year). Le Viaër Marchi is a colourful and widely anticipated annual event in Guernsey’s calendar and continues to be the Guernsey National Trust’s greatest fundraiser. The event was held, at Saumarez Park and with the great weather attracted a huge gathering of locals and visitors. If you're out and about why not pop by to Le Viaër Marchi on Monday. We will be setting up from 4pm for a 6pm start.